Good morning. Thank you Aldona. It’s a pleasure to participate in this seminar. It is an important event given the complexities of implementation of Basel 3 standards. So, I would like to thank Moldova’s European partners, as well as the National Bank for organizing and hosting this venue. IMF is one of the many partners of Moldova on its path of reforms. Even in the context of the IMF program, financial resources and technical assistance come from the EU, the World Bank, EBRD, as well as other donors and institutions. It has been and continues to be a team effort. So, I am glad to see many colleagues and partners at this table and in this room. I would like to give a brief overview of the role IMF plays in supporting Moldova’s reforms in the financial sector. About one and a half years ago, the Executive Board of the IMF approved a three-year program arrangement under the Extended Fund Facility (EFF) and the Extended Credit Facility (ECF) to support Moldova’s program of economic and financial sector reforms. Compared to assistance provided under the more usual Stand-by Arrangement, assistance under an extended arrangement, such as the one with Moldova, often entails longer or deeper engagement. Such type of support aims to help countries implement comprehensive programs of structural reforms that address deep institutional or economic weaknesses, in addition to policies that rebuild and/or maintain macroeconomic stability. These reforms require time and effort. In the case of Moldova, the program agenda spans a three-year timeframe. And in the case of Moldova—as you know—the focus is squarely on the financial sector. Today we are near the mid-point in the program. And so it’s a good time to look back at where we came from, reflect on what has been achieved, and make sure that the remaining milestones and challenges are well within reach. 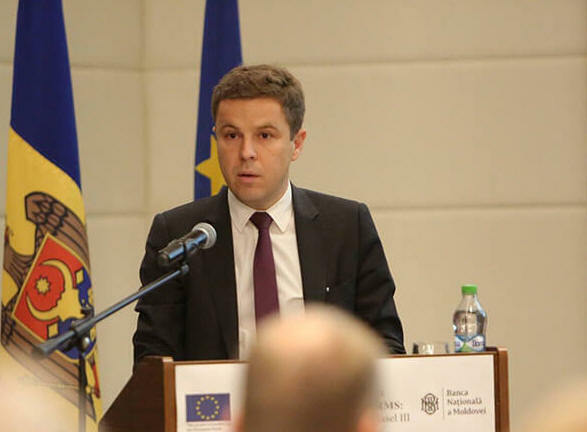 Indeed, by the time of the launch of the program, Moldovan authorities, the National Bank in particular, had already developed a comprehensive plan of reforms to strengthen the economy and address its key vulnerabilities. The most important ones, of course, aimed at fostering sound financial institutions, that operate within a strong regulatory and supervisory environment. To secure the arrangement with the Fund, the authorities made significant upfront progress to tackle governance and stability issues in the banking sector and address weaknesses that gave rise to the 2014 banking crisis. First of all, a clear shift in the enforcement regime; Addressing breaches of regulation that we already known. Decisive action against unfit shareholders in the largest banks. Notable was starting of the process of dismantling opaque ownership structures and related party lending. This was underpinned by broader and stronger legal powers granted to the bank supervisor. It also meant giving the relevant staff of the National Bank commensurate legal protection so they can do their job in an impartial and professional way. Lastly, steps were taken to improve crisis management capacity; and enable adequate intervention and resolution powers in line with international best practices. First, rehabilitation of three systemically important banks. Transfer of systemic banks’ control to fit and proper shareholders and managers. In parallel with this, efforts were also embarked upon to clean the rest of the domestic banks. Second, implementation of far-reaching improvements in the regulatory, supervisory and contingency frameworks for banks. On the first front. Already, one of the three banks – Victoriabank – has a new strong strategic majority shareholder, Banca Transilvania. Victoriabank is now on a strong footing, including due to its partnership with the EBRD, to better service Moldova’s economy, through lending to many small and medium-size enterprises, and thereby contributing to growth and job creation. As well, prospects are now much brighter for ensuring that the main shareholders in the remaining two large banks are also fit and proper and that these shareholders are a source of strength for good governance and management of these institutions. A range of decisive policy actions and legislative changes have helped mitigate the risks associated with attracting investors into these banks. Last week, the NBM has announced that an international consortium involving an international financial institution and two foreign direct investment funds have submitted an official request for the purchase of a 41 percent stake in Moldova-Agroindbank. This signifies an important step towards ensuring fit and proper ownership and control as a pre-condition for good governance and sound financial management in Moldova’s largest banking institution going forward. The progress in Victoriabank and Moldova Agroindbank thus far, sets a good stage for generating investor interest in the last of the three big banks – Moldinconbank, where attracting a strong investor likely represents the final major step towards the rehabilitation of Moldova’s systemic banks. In the smaller banks, bank by bank diagnostics, have been undertaken to assess whether and where weaknesses exist, and to provide a path to further strengthening each institution to ensure both sound governance and financial standing. Impressively, throughout this process, depositor confidence has been maintained. On the second front – which deals with strengthening the regulatory, supervisory and contingency frameworks for banks. First of all, the New Banking Law is now in force. It signifies a fundamental shift towards risk and principles based supervision. This law in some sense is what enables today’s seminar to be of practical significance to Moldovan bankers. There is still a lot to be done towards the full implementation of international standards, and the action plan drawn up by the National Bank aims to address that. Also, progress has been made to align Moldova’s AML/CFT framework with international standards. The new law sets out an appropriate supervisory framework and a roadmap towards its effective implementation. 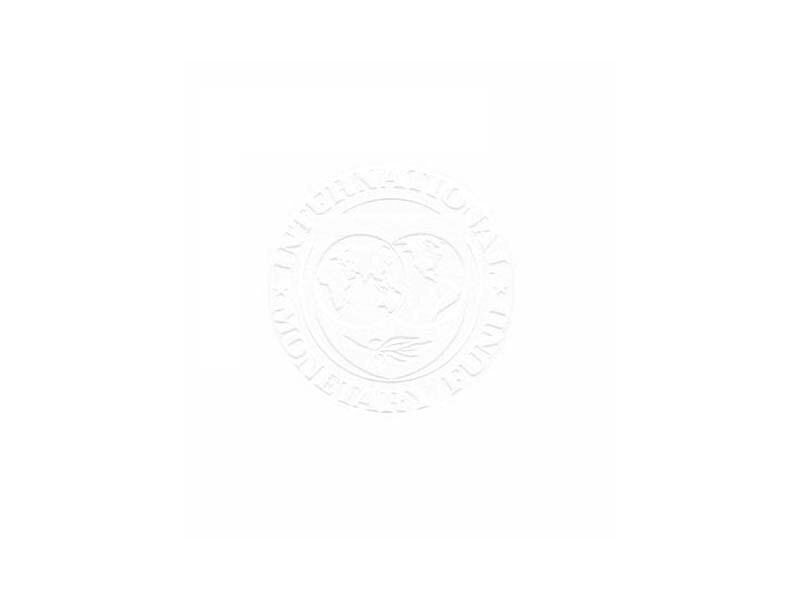 One of the objectives of the IMF supported program is eliminating past channels for fraudulent change in ownership of shares, and not just in banks and insurance companies. The Central Securities Depository institution, guided by a modern law, has now been set up, and the steps towards the eventual transfer of shares are being taken. The new setup is designed to guarantee the safety of securities and ensure their transparency as well help development of new financial market instruments. The progress continues to finalize comprehensive bank diagnostics across the whole system. This entails full scope onsite inspections, related party reviews, ensuring certification of managers and shareholders. So, what do we see as the next steps for the remainder of Moldova’s program with the IMF? Foremost, continued action and vigilance are needed to ensure that progress achieved thus far is irreversible. First, building on existing strong foundation to ensure that all of the systemic banks have fit and proper shareholders and managers. Second, closing the chapter on shareholder transparency across the whole banking system, including by putting in a place and implementing a full-fledged framework for removal of unfit shareholders and a robust mechanism that facilitates entrance of new investors. Third, continue to work towards robust corporate governance practices, in line with the implementation of the new Banking Law. Implementing a credible action plan for full compliance of practices and exposures for related party lending and transactions with prudential requirements. And lastly, undertaking remaining legal and regulatory changes for contingency planning, deposit insurance and bank liquidation, that complement the new bank recovery and resolution framework. That said, vigilance not just in banks, but also in the non-bank financial sector, be it micro credit institutions, or insurance companies. The relevant authorities must ensure the highest quality frameworks and oversight to avoid arbitrage and the migration of risks. To conclude, I would like to thank once again the EU High-Level Advisory Mission and the NBM for organizing this event. I look forward to the presentations and fruitful discussion.